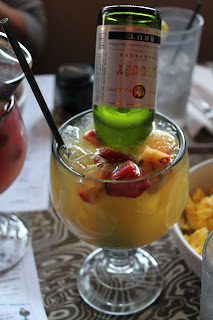 When I first moved to Tampa, before I got back into blogging, I stalked the internet for the best brunch in the bay. When we are lucky enough to be home on the weekends, Gabe and I always go out to brunch. 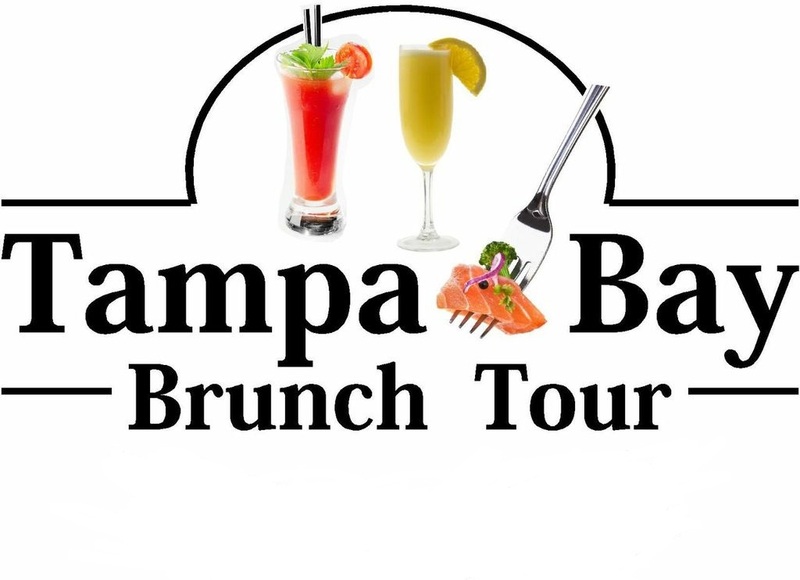 With all the options in Tampa, it is hard to say who has the best brunch of Tampa Bay. So a few fellow foodie friends and I got together and brain stormed about how we could find the best place to go on a lazy Sunday. Who has the best atmosphere? Who has the best drinks? Who has the best food? We decided to get together once a month over 6 months, featuring 6 different restaurants to find out, who really is the best of the bay. The first stop on the tour was Ciccio's South Tampa. 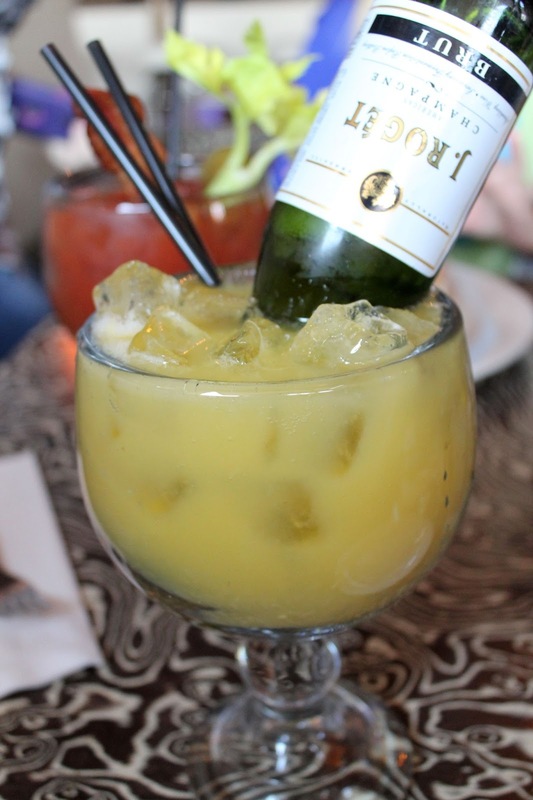 Ciccio's sister restaurant Daily Eats is very well known for putting on an amazing brunch. 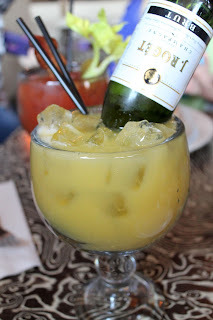 I was very excited to try out Ciccio's and making them the first restaurant of our brunch tour. I was joined by Tracy (My Other City By The Bay), Rachel (Runners Tales), Leslie (Dash of Les) and Katie (Ruffles and Truffles). We were welcomed with a giant bloody mary. I saw these monsters from far away and instantly zoned in on the bacon. 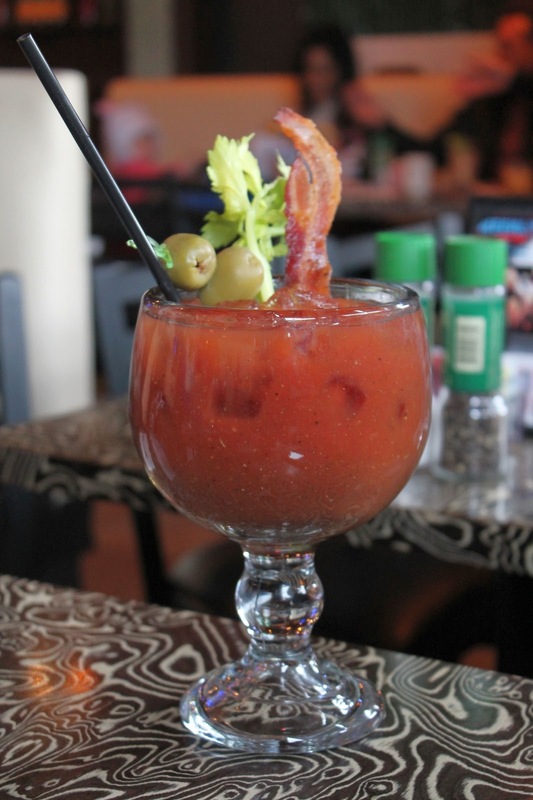 Yes ma'am, that is bacon in your bloody mary. This was the perfect way to start off brunch. Ciccio's makes their bloody mary mix fresh and it was amazing. I am very picky about my bloody mary's and this one, I give two thumbs up. After we had a few sips of our bloody mary's (and all equally agreed as to how amazing they were), it was time to bring out our first assortment of dishes. One of the many things I love about Ciccio's is that they are health conscious. They have an array of fit egg bowls, where you can swap out potatoes for farro along with options to create your own egg bowl. We were told by Steve from Ciccio's that the Tuscan Bowl was his favorite on the menu and I quickly knew why. Every bite was spectacular, with ricotta, scrambled eggs, fresh basil, melted Parmesan and vine ripe tomatoes. The flavors were incredible and worked very well together. The Turkey Club Bowl was also very good. Amazingly, the turkey was not dried out and had great flavor. 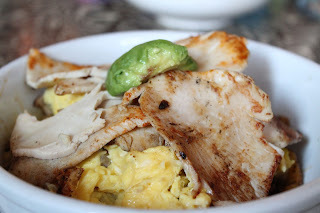 It was a mix of scrambled eggs, roasted housemade turkey, sausage and avocado. Finally, the California Dreaming bowl, the one bowl we tried with the farro substitute. 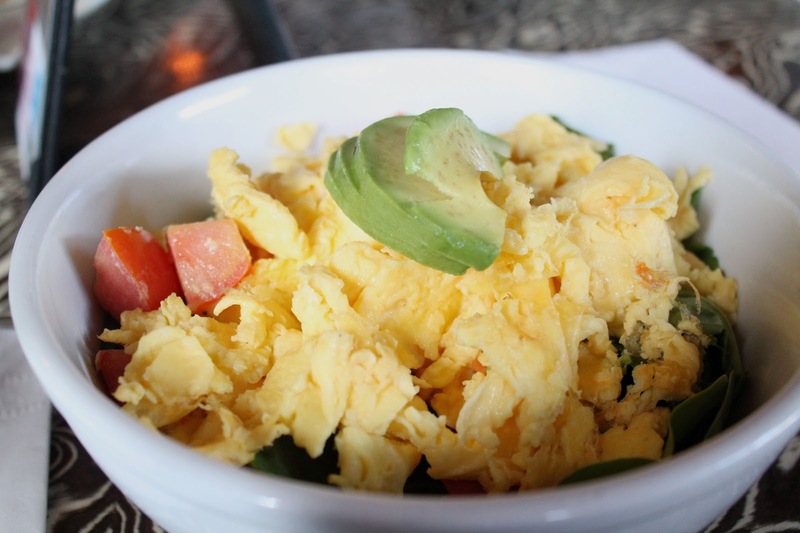 I am a huge fan of farro and it is a perfect substitution on this bowl of scrambled eggs, organic spinach, vine ripe tomatoes, fresh sliced avocado. Now that you got a good idea of fit egg bowls from Ciccio's, it is time to head over to some sandwiches and breakfast burrito's. One of my favorite items of the day was the Big Chorizo Egg Wrap. A whole wheat tortilla stuffed with farm fresh eggs, chorizo, avocado and jack cheese and ketchup dipping sauce. Every bite was perfectly seasoned and was full of flavor. 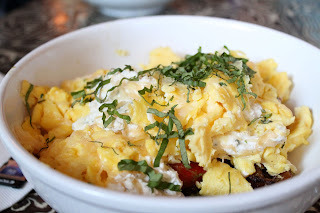 Oh and the breakfast potatoes - if I can get this recipe from Ciccio's, I will owe them for life. 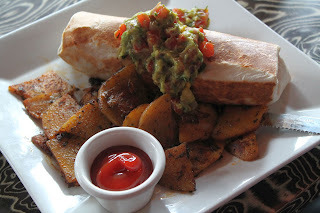 The Lanza Burrito was also very good. It was filled with scrambled eggs (three of them! ), homefries, bacon, black beans, cheddar and jack cheese sauce topped with avocado salsa. Talk about a hangover cure of the gods. 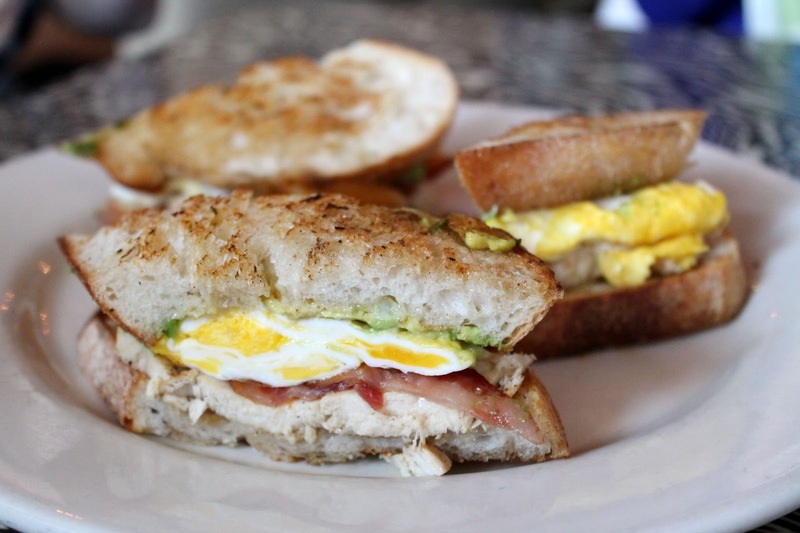 Finally another top choice of the day was the Natural Chicken & Egg Sandwich Club. It consisted of farm fresh eggs, sliced avocado, bacon, garlic aioli on sourdough bread. OH MY the bread. I cannot express how perfect the bread on this sandwich was. I am normally not a breakfast sandwich girl at brunch and I would absolutely order this again. Guess what time it is - it's Slamgria time! Slamgria is the sister to the Maximosa, with options of red, white or champagne sangria. Same concept as the maximosa with an addition of fruit. My favorite of the three was the red but all were very good and a perfect way to get your daily dose of fruit. Now it's time to talk pancakes. I am normally not a pancake girl - I do not have a huge sweet tooth and breakfast indulging to me is generally anything that includes bacon or sausage. So a shock factor kicked in when I had a bite of the Oatmeal Pancakes. The raw oatmeal gave the pancakes texture I was not expecting. I am now on a mission to create these at home. While I was gushing over the pancakes, Leslie was expressing her own amazement with the Oatmeal Chocolate Chip and Strawberry Pancakes. Leslie also lacks the sweet tooth and was loving every moment of these pancakes. I had a bite and quickly saw why. 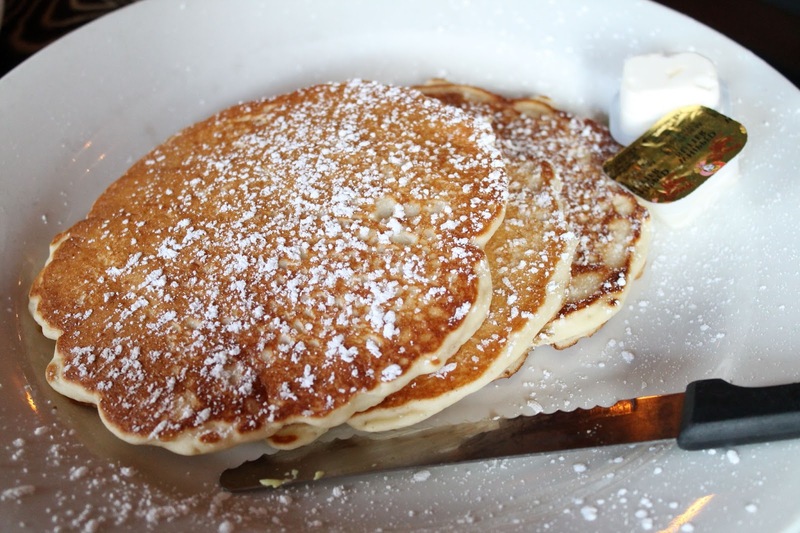 Pancake Perfection. 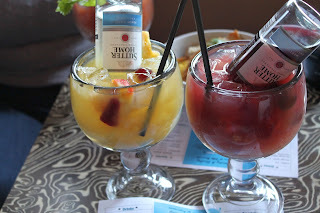 Overall, I was very impressed with Ciccio's. 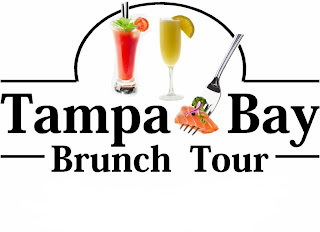 I will go back in a second and suggest this as a must brunch location in South Tampa. There is something on the menu for everyone, even the sushi lovers. You can eat brunch while staying health conscious or you can have a nicely rewarded cheat day here. My favorite meal of the day was a three way tie between the Tuscan Egg Bowl, the Natural Chicken & Egg Sandwich Club and the Big Chorizo Egg Wrap. 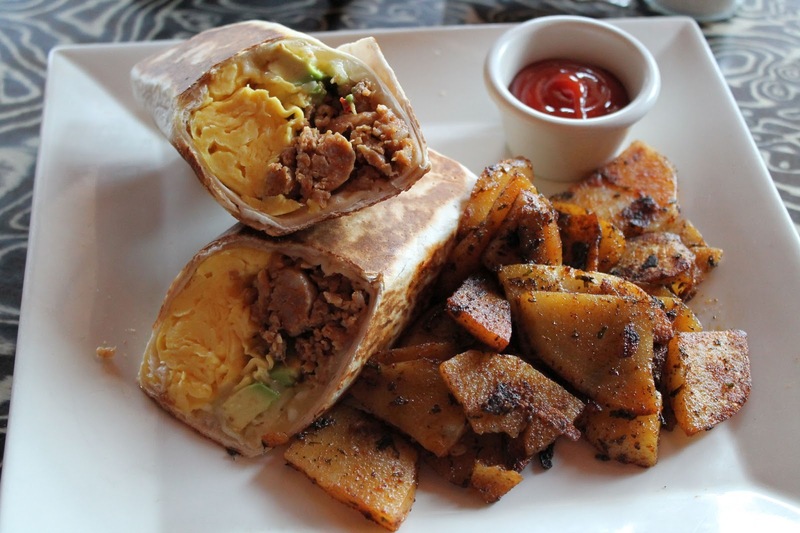 If I had to pick one dish to win from this group, it would be the Big Chorizo Egg Wrap. That and a bloody mary makes for the perfect start to the day. Those drinks all look so amazing!!! Lauren, the bloody mary was amazing. I love that Ciccio's serves them in giant glasses too. You should check out their brunch sometime! Wow, everything looks delicious! 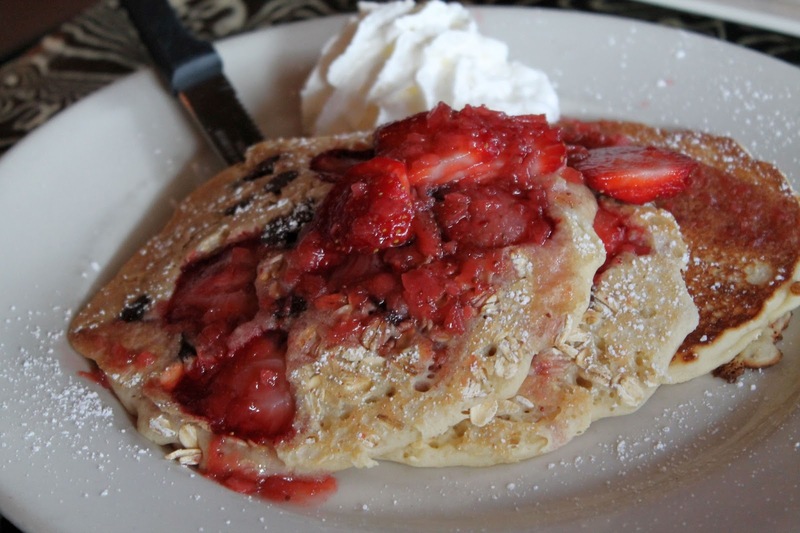 Especially the Lanza burrito and the oatmeal pancakes!